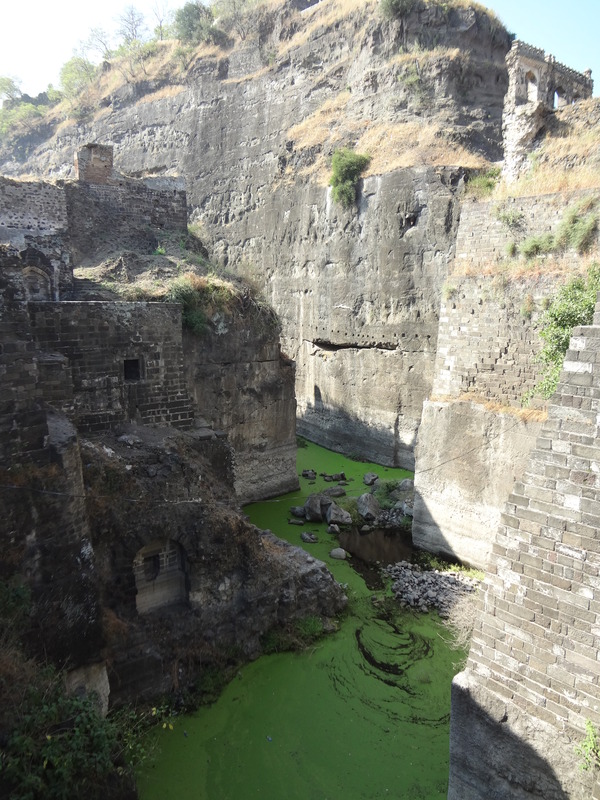 Daulatabad Fort is a place I hadn’t heard of until I started planning my trip to Ellora. 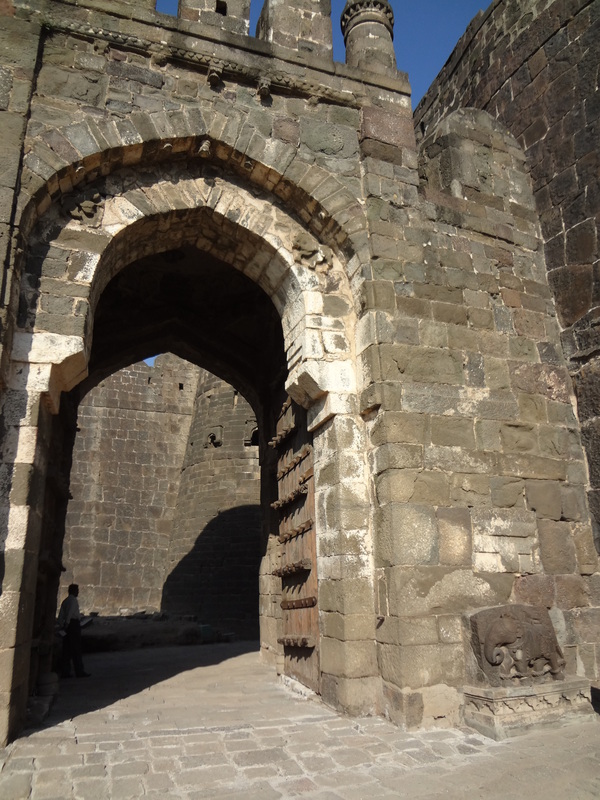 It is a 14th century fort located halfway between the city of Aurangabad and the Ellora caves, and is noted for being undefeated in battle. 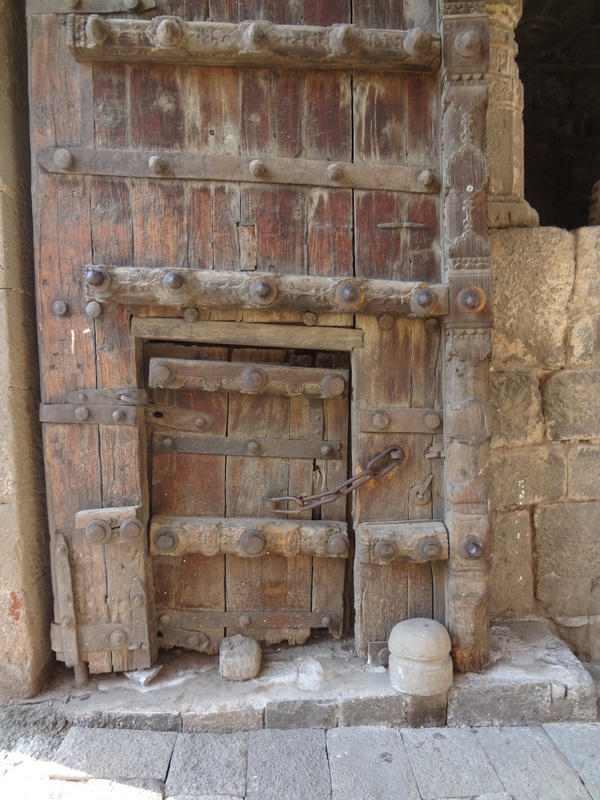 Five large fortified doors are arranged at different angles to confuse the enemy. The angles and turns also make it impossible for elephants to create enough speed to ram through the doors. The sides of the hill were carved out by hand to create a steep wall and moat. Crocodiles were kept in the moat to keep the enemy from crossing and also to dispose of bodies. Today the water is low due to lack of rain, and the farmers who interrupt the water flowing through an underground pipe to the moat. An an old cannon sits on top of a round platform overlooking the surrounding landscape. 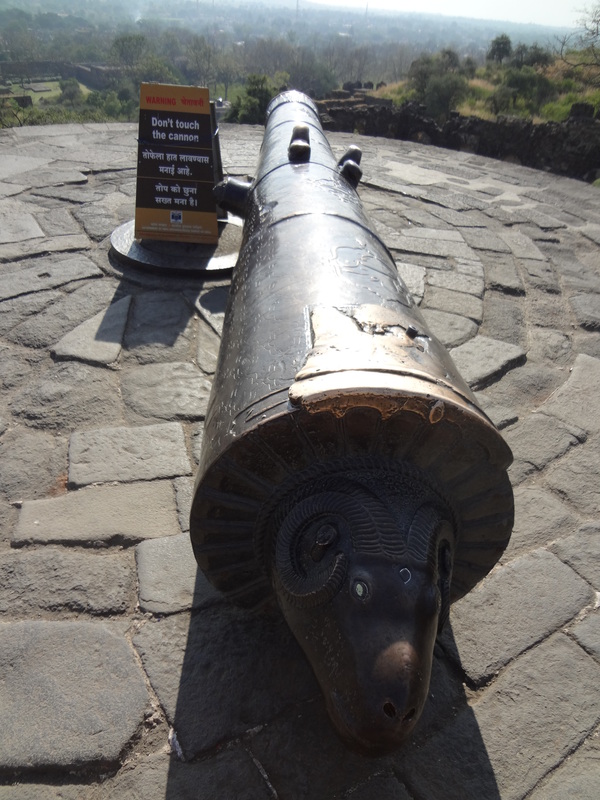 Decorated with script, patterns and a goats head, it is an unusually beautiful cannon. 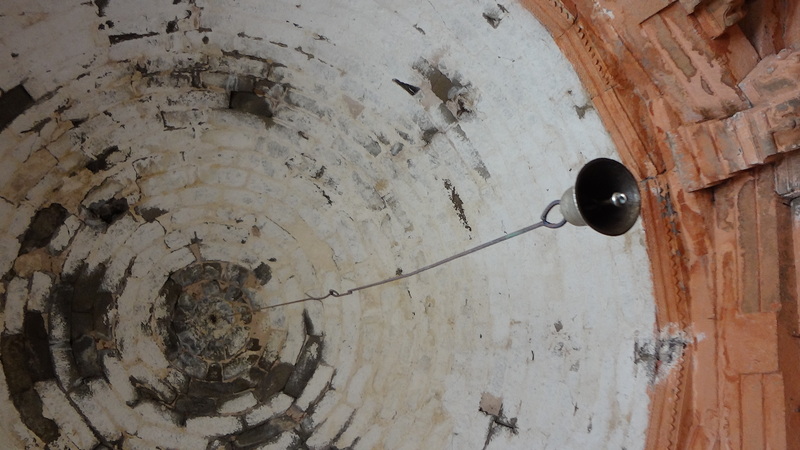 Visitors have rubbed the brass plate on top to a shine. 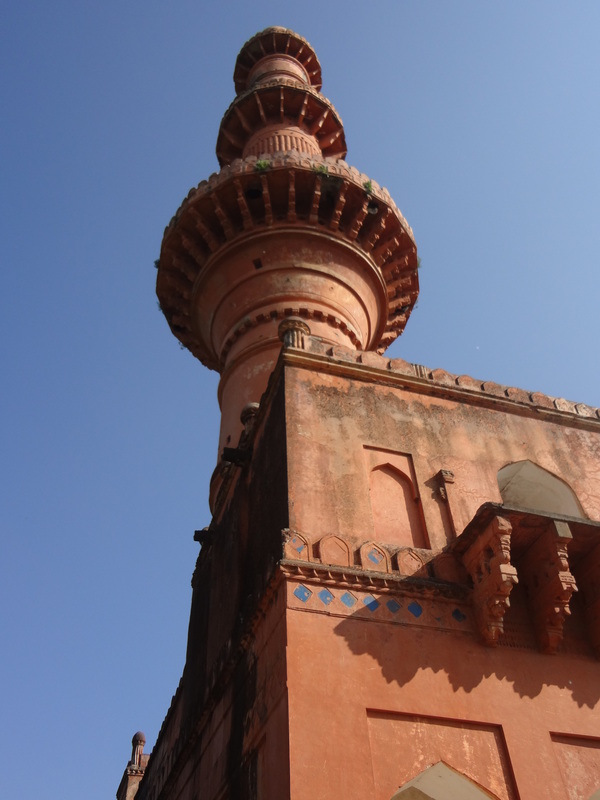 The Chand Minar tower built in 1445, (the second tallest in India), is also within the walls of the Fort. It was originally decorated with blue Persian tiles. They are continuing to do some restoration work. 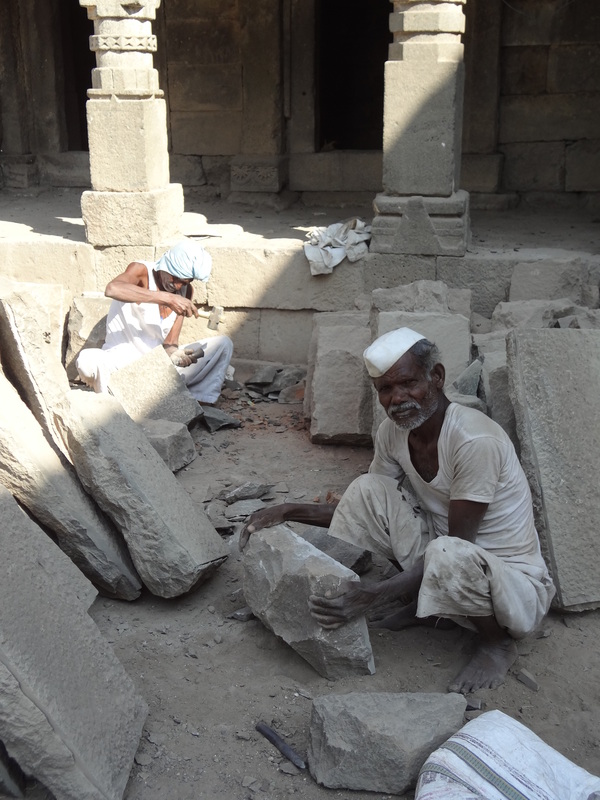 All stone work is still done by hand and laid without concrete. This man was happy to say ‘hi’ to me as I walked by. 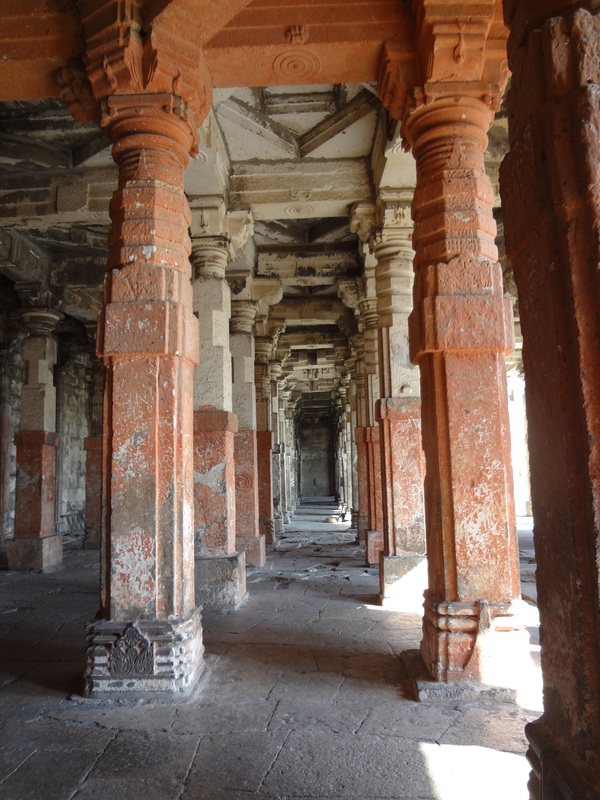 The temple at Daulatabad. These posts and lintels are built from stacked interlocking pieces.